Create Customized Facebook Timeline Covers with Photo Covers for Facebook. Create your cover, upload it and update your profile from within the app! Choose from 101 Facebook Cover Templates. With Photo Covers for Facebook it is so easy to create, upload and update your facebook timeline cover ( and profile photo ) that you would want to use this app everyday! Hello there, my name is Anya do you want to play with me and my cute little pet puppies ? You can take care of us and feed us. The puppies do tricks as well, they know how to dance, fetch, crawl, spin, sit and more!! We love to make cool pictures on our iPhone, but felt limited by apps that forced you to adjust the entire picture at once. That's why we created Paint FX, the first app ever to allow you to add effects, filters, colors or simple enhancements exactly where you want them, simply by painting with your finger. Apply precise HDR effects by controlling Brightness, Contrast, and Saturation with pinpoint accuracy. Perfect for Tiltshift (Miniaturization) effects by adding Blur EXACTLY where you want it. Completely erase backgrounds for a brilliant studio-style portrait photo. Have fun, by giving yourself a tan or changing the color of your hair and clothes. 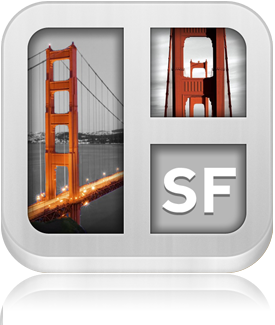 Artistic filters like Sketch, Hue, Cartoonize, and Threshold easily turn your photos into professional looking pieces. A complete paint brush set is included to really manipulate your photos - The options are endless! 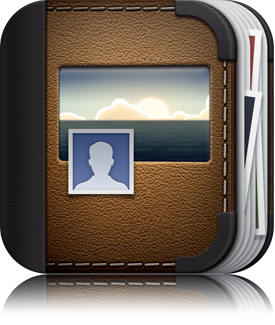 Instantly combine and easily create visually rich and stunningly beautiful collage from your photo album, Facebook or Flickr photos, that you would be proud to share. Tap to add photos to custom collage. Pinch to zoom photos to fit as needed. Add effects to each photo individually. Share to instagram, flickr, twitter, Facebook. 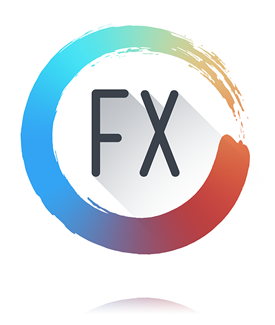 Export to Paint FX to add custom effects to your creations. Engage and Share content with the community. Tap his feet and he dances. Turn on the disco lights for a light show. Record Video of you talking as the Zombie and upload to facebook or send via email. 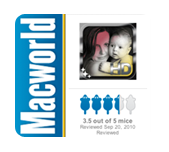 Photo Captions Premium This is the premium version of the standard Photo Captions iPhone application. Ability to import photos of friends from Facebook! Photo Borders, select from four styles of borders for your photo collage: rounded corner, white border, glow or feathered. Photo Captions on your iPad This is the iPad version of the standard Photo Captions iPhone application. Guess This Animal Let Ranger Nora teach your child animal facts, you will be amazed how quickly your child will learn about the animals taught in this application. You will be surprised when your child says "snails have eyes at the tip of their tentacles" or that "snails cannot hear" when he/she sees a snail in the backyard or he/she might say "Lions live in groups called prides" when at the zoo. 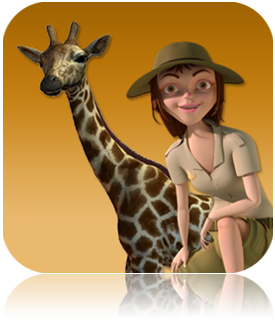 This is an interactive application, Ranger Nora talks to your child throughout the application. She will either teach animal facts or play an animal guessing game with them. 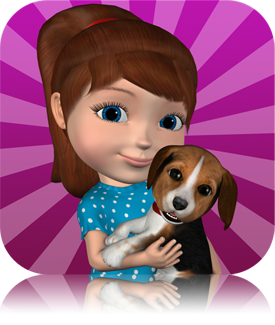 The animals and ranger Nora are realistic and cute, your child will have fun interacting with them! The animal facts are interesting enough to intrigue the child and are concise enough to not bore the child. Learning Mode: In the learning mode ranger Nora teaches animal facts, how they are unique, their characteristics, where they live etc. iLearn SolarSystem: teaches the Solar System. Stunning animations of the Solar System and the planets will capture your attention while Astronaut Ashley talks about each of them. What is unique about this application is the style of teaching, a child will learn a lot in the one to one lessons that Astronaut Ashely gives, specially since the ability to read is not required to learn about our Solar System. 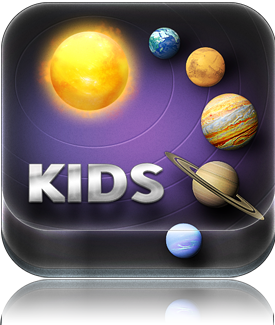 Other applications on the planets, Solar System have a large amount of textual information, which young readers might find overwhelming, with iLearn SolarSystem they only need to watch and listen. Astronaut Ashley teaches all the planets in the Solar System: Mercury, Vewnus, Earth, Mars, Jupiter, Saturn, Uranus and Neptune. She also explains concepts like Revolution, Gravity, Satellite. Details on the Sun and the Moon are also taught. Astronaut Ashley and ZooBy the alien also play a guessing game with you to quiz you on your knowledge. Pirate Shoot Don't let the Pirates loot the booty. STOP THEM!! You have an arsenal of cannon balls and bombs to shoot the pirates with. An alligator, which you control to attack the pirates. 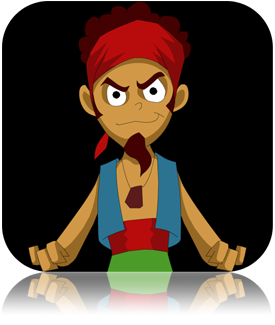 Enjoy unlimited levels of shooting a great pirate line up on different islands. Features: - Shoot a pirate down with a canon - Drop a bomb from a moving helicopter, you can control the helicopter to change direction as needed to attack. - Direct an Alligator to attack the Pirates. You control the alligator, you can change it's direction when it's lurking in the water, hold it down to wait for the best moment to attack. - Game is saved when you stop playing, you have a choice to resume playing a saved when you start the next game. - High Scores can be saved locally - Three Skill Levels: Easy/Medium/Difficult Controls : Cannon: - Fire the cannon by tapping on the screen - Change the cannon's firing angle by rotating your touch up/down anywhere on the screen Helicopter - Drop a bomb by tapping the helicopter - Change the helicopters course by dragging it in the direction you want it to go ( Left or Right ) Alligator - Tap the alligator to trigger a Pirate attack - Touch and hold - Hold it a little longer and it pauses - Tap to make it move - Change the alligator's direction by touching and dragging it in the direction you want it to go ( Left or Right ). Let the iPhone take your picture No more ugly close-ups, surprised expressions, half faces, face stuck in a corner or fuzzy because of a shake. 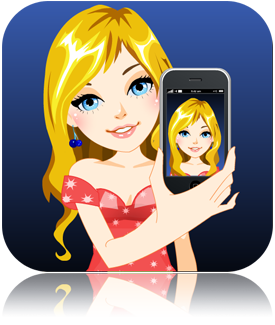 Let "Camera ClickMe" take your photo for you and get a perfect photo every time!! asks you to "smile" before it clicks to get the best picture you would want giving you time to get ready for the picture. Fun image editor makes it easy to add effects on iPad. Photo Captions HD is really easy to use, and it’s fun making funny pictures of friends and family. For less than the cost of a greeting card, it’s not a bad deal. more.. Feedback Feedback Feedback Your feedback is very important to us. If you have any suggestions to improve your user experience or if you have a complaint please contact us. We love to hear from our users and will promptly service your request, so please write to us. more..